John Maynard Keynes Is a one-volume condensation and updated version of Robert Skidelsky’s monumental three-volume biography of the economist, political philosopher, and statesman which was originally published between 1983 and 2000. Maynard Keynes was born and raised in Cambridge, the seat of intellectual and political power, even more so then than now. He was also educated at Eaton – and yet his social origins were quite modest. One grandfather John Brown was an apprentice printer from Lancashire who later graduated from Owens College (Manchester University) and went on to become a preacher. The other grandfather made his fortune from cultivating dahlias and roses. 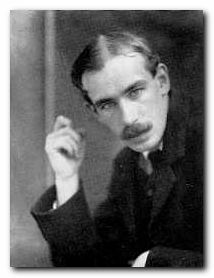 His father John Neville Keynes went to University College London and then to Cambridge where he briefly became a lecturer and where he met Keynes’ mother, who was a student at Newnham Hall. However, Neville (the family used their middle names) did not feel suited to the life of a don, and became instead an administrator in the examinations board. Keynes was raised in a fairly prosperous middle-class household, where he was coached by his parents and learned German from a governess. As a youngster he was tall, clever, rather sickly, and very under-confident regarding his own appearance. He proved to be particularly good at mathematics and algebra, but even so he was often taken out of various schools and educated at home. Nevertheless he succeeded in winning a scholarship to Eton in a competitive examination. At Eaton he was at the top of an intellectual elite which existed in the heart of a social elite, and he thrived in the cultural ambiance, winning countless prizes. Yet remarkably, despite a mastery in classics and mathematics and his sensitivity to subjects such as medieval poetry, his favourite sport was the almost imbecilic Eton Wall game. Nevertheless, by the age of nineteen he went out in a blaze of glory to take up a scholarship he had won at King’s College Cambridge. King’s is a ‘sister institution’ of Eton going back to its foundation in 1441 by Henry VI. 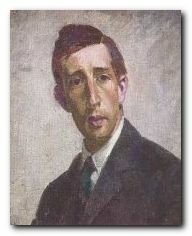 Keynes threw himself into its many debating societies and clubs, and was almost immediately invited to join the semi-secret group of ‘Apostles’ (membership was for life) where he met Lytton Strachey, Leonard Woolf, Saxon Sydney-Turner, and E.M. Forster – through whom he was introduced to Thoby Steven and Clive Bell. This placed him centrally as a member of the Bloomsbury Group, which was later formed out of these friendships. Like many others of his generation he came under the influence of G.E. Moore, whose Principia Ethica (1903) gave a theoretical rationale to their philosophy of ‘friendship. art, and the pursuit of happiness’. It also served as a moral justification for the practice of homosexuality which was common amongst public schoolboys and undergraduates at that time, despite the then recent conviction of Oscar Wilde which still cast its shadow over them. As a postgraduate however, he abandoned the very subject for which he later became famous (Economics) in favour of preparation for the Civil Service examinations. On successfully completing these, he became a junior clerk in the India Office (hours 11.00 to 5.00 pm) a job with which he rapidly became bored. When he was offered a lecturing job back at Cambridge, he took it. At this point Keynes’s personal life became quite complex, with cross-connections that have since made the Bloomsbury Group famous. He was a friend and ex-lover of Lytton Strachey, who had fallen in love with his own cousin Duncan Grant. However, Grant was involved in an affair with fellow Apostle, Arthur Hobhouse, a former love-object of Keynes. When that affair came to an end Keynes and Grant became lovers – much to Strachey’s chagrin. None of George Moore’s abstract theorising about ‘the good’ and ‘the beloved person’ offered them any protection against the emotional ravages of jealousy, possessiveness, and sexual rivalry.The amazing thing is that they all remained friends. Back in his spiritual (and actual) home Cambridge, Keynes devoted himself to lecturing on money, applying his talent for mathematics to the very inexact pseudo-science of economics. He also pursued journalism, meanwhile working on a major thesis on probability theory, supporting the Liberal cause and resolutely defending free trade. Whilst all this high-minded ethical philosophising and fiscal theorising was going on, Keynes was meanwhile cruising London parks and public baths, picking up rent boys, and recording his sexual encounters in his private diaries. When the Bloomsberries began to meet in Fitzroy Square, this introduced the novelty of female company, where newly liberated women (such as the Stephen sisters, Virginia Woolf and Vanessa Bell) were free to mix safely with their brothers’ friends – since they were largely non-threatening homosexuals. Keynes gave group members advice on investments, and in some case even took over their financial affairs, as well as gambling on the stock exchange himself. However, this mixing with Bloomsbury also brought him personal distress. 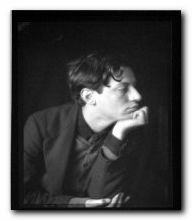 Duncan Grant started an affair with Adrian Stephen, which left Keynes having to console himself with a succession of Cambridge dons, though the two men continued to write to each other as friends. Keynes moved into Virginia Woolf’s menage in Brunswick Square, produced his study Indian Currency and Finance at high speed, and attended the Ballets Russes where he admired Nijinsky’s legs. Suddenly this Edwardian bliss was shattered by two events – the advent of war in 1914, and an associated banking crisis. Keynes did not participate in the conflict, but he was drafted into the Treasury where his recommendations were accepted by Lloyd George and a banking collapse was averted. As a result, he rapidly became a secretary and adviser to the cabinet. At a personal level, he finally ‘lost’ Duncan Grant, who went to live with his lover David Garnett and Vanessa Bell in a ménage à trois. When the war got worse, Keynes refused to be called up for service, and when summoned by the conscription tribunal sent them a letter saying he was too busy to attend. But he was put under pressure by his friends (particularly Lytton Strachey and Bertrand Russell) to resign from his work which they described as ‘finding ways to kill Germans more cheaply’. However, Keynes rationalised his position to himself, and during the war he became the focal point of the Bloomsbury Group’s London base in the role of landlord at Gordon Square. He worked at the Treasury during the week and at weekends sojourned either with Ottiline Morrell at Garsington or with Vanessa Bell at Charleston. Professionally he operated at a high level in Britain’s financial and political exchanges with its allies in the war effort – which founded the basis of his later success as a diplomatic ‘persuader’. The cultural high point of his mixing with the great and good came when he persuaded the prime minister to let him buy paintings from the collection of Degas for the National Gallery. His loyal Bloomsbury friends despaired of this social climbing, but then suddenly the end of the war changed everything. Keynes played an important part in the Paris peace conference in 1919 and the economic base of the German war reparations – though his suggestions for a just solution were rejected. But out of this experience came his best-selling study The Economic Consequences of the Peace, a publication that made him internationally famous. He argued that the harsh reparations would leave Germany unable to pay – which proved to be the case, and resulted in the catastrophic devaluation of the Deutschmark in the early 1920s. In the years that followed he divided his time between academic work in Cambridge and financial-political work in London. He also made a lot of money from investments and journalism, and spent it buying paintings by European modernists. He formed a syndicate to speculate on foreign currency exchanges, and even when it collapsed into bankruptcy, he immediately formed another – and made yet more money. Meanwhile his secretary Naomi Bentwick had fallen desperately in love with him. Despite their professional proximity, she seems not to have noticed that he was having an affair with his fellow Apostle, Sebastian Sprott. In the early 1920s Keynes was actively involved in solving the lingering problem of post-war reparations, something in which he participated as an economist, a government advisor, and (secretly) as an unofficial diplomatist. At the same time he formed a group to take over the liberal journal Nation and Athenaeum of which he made Leonard Woolf the editor. Then, in the midst of all this, he surprised everyone by falling in love with the Russian ballerina Lydia Lopokova, who stayed in England when Diaghilev de-camped to Monte Carlo. The problem for Lydia was that she ran foul of Bloomsbury Group snobbishness, and was shunned by them as a feather-brained outsider. Fortunately, she was warmly welcomed by Keynes’s parents as a prospective daughter-in-law. After she received a decree nisi (from her bigamous husband Rodolpho Barocchi) she and Keynes got married in 1925, and were visited on their honeymoon by Ludwig Wittgenstein, who had to borrow the money for his train fare, having given away the millions of his inherited fortune. Inspired by the public interest in ‘new economies’, Keynes visited the Soviet Union more than once, where he saw through the intellectual sham of Stalinism. Around this time he got to befriend fellow travellers Sydney and Beatrice Webb who swallowed whole the bogus statistics they were fed in Russia to produce Societ Communism: A New Civilization?, a book which famously shed its question mark between editions. Later he became friendly with the Fabians (and puritans) George Bernard Shaw and H.G.Wells. For all his fame as a guru of economic trends, the Wall Street crash of 1929 took Keynes by surprise, and he lost heavily on his own investments. Nevertheless, he was invited to play a key role in the Economic Advisory Committee and thereby developed an insider knowledge of banking and exchange rates. The committee also involved him in a great deal of energy-sapping infighting amongst his fellow economists. But as the slump of the 1930s went on, his views became less popular. Keynes thought that Britain should spend its way out of the depression, a view which many observers thought was counter-intuitive. Despite all Keynes theorising, he changed his mind on a number of economic fundamentals. He believed in a classical free trade policy, but embraced protectionism when it suited his purposes. He both supported the gold standard – and then opposed it. He was prepared to change his mind (and theories) to suit the facts – indeed he believed that economics was a form of ‘intuition’, which looks suspiciously like ‘make it up as you go along’. 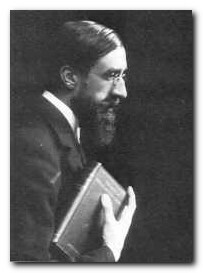 In the early 1930s he lost a lot of personal friends – such as fellow Apostles Lytton Strachey and Roger Fry, and he also lost influence in the public sphere. He used the quiet period to complete his major opus The General Theory of Employment, Interest and Money. At a time when Cambridge was enthusiastically embracing Marxism, he dismissed it as a ‘hocus-pocus’ system of economics, and meanwhile his own investments recovered to increase their value by twenty-six times. A great deal of this money he spent on collecting valuable books, and on his pet project, a Cambridge Arts Theatre for King’s College. In the late 1930s he had a period of ill health, and was admitted to a sanitarium in Wales for several weeks. And just as his health declined, so did his investments in London and on Wall Street, losing two thirds of their value, largely because he believed that ‘good’ investors should remain faithful to their original commitments, even during bad times. When the war started Keynes was not given any official role, but he nevertheless devoted himself to the national economy and developed his thoughts in what was eventually to be published as the influential How to Pay for the War. He advanced a system of compulsory savings, which proved very unpopular. However, he fought hard to defend his ideas and was eventually re-admitted to the Treasury – though in the very ambiguous role of unpaid, part-time adviser to the Chancellor of the Exchequer. Keynes’s next major task was to negotiate with Washington over Britain’s repayments to the USA under Roosevelt’s ‘lend-lease’ scheme. He embarked on this against a backdrop of American mistrust and even hostility towards the British. Unfortunately his first efforts were regarded as arrogant and presumptuous, confirming the American view of Britain as an arch-Imperialist power. His protracted negotiations were largely unsuccessful. Even though he was never a member of Churchill’s wartime government, he dined regularly with the prime minister at his club (the Other Club), and Keynes was made a life peer in 1942. Throughout the war he acted as a bridge between the Treasury and the various committees created by the war cabinet. Even whilst the war was still under way Keynes had started to think about the problem of how it would be financed when it eventually came to an end. First he came up with the idea of an International Clearing Bank (ICB) a notion he borrowed from the Germans. But meanwhile the Americans were devising a rival notion of their own – spearheaded by Harry White, an anti-British communist sympathiser. The two sides compared notes. Whilst all this was going on, Keynes was appointed to the board of the Bank of England, invited to chair a committee for the promotion of the arts (to become the Arts Council) and was supporting William Beverage in his revolutionary proposals for social security. Keynes was deeply involved in lengthy negotiations with the Americans, but even when they reached a compromise agreement he had the problem of persuading the British government to accept the outcome. Against a backdrop of the Normandy landings in June 1944 Keynes and White presided over an international assembly of economists and diplomats at Bretton Woods in New Hampshire. Between them they hammered out and established the workings of what was to become the International Monetary Fund (IMF). As the war with Germany drew towards its end Keynes was busy with plans for surviving the post-conflict period of austerity which would inevitably be necessary. This boiled down to seeking a long term low interest loan from the USA to pay for Britain’s war debts. Taken on as adviser to the new Labour government of 1945, Keynes was despatched yet again to the USA to negotiate. The meetings were long-winded, tedious, and unproductive, with Keynes’s health deteriorating rapidly throughout. The result (because of London’s intransigence) was a failure. The delegation was forced to accept a loan on America’s terms. The following year Keynes travelled to Savannah for the inauguration of his brain-child, the IMF. As ever there were differences between the UK and the US on how things should be run, but Keynes had done his great work in creating the institution. He celebrated just in time, because he became ill on his return shortly afterwards, but had the satisfaction of dying in his own beloved home at Tilton in Sussex. This is a masterful biography which has been widely praised – with very good reason. 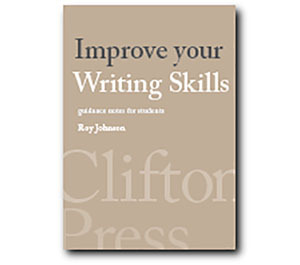 It rests on a profound degree of scholarship and is the result of something like twenty-five years’ research. The bibliography and critical apparatus at the end of the book alone comprises almost two hundred pages. Only a professional historian or economist will need the full three volumes from which it is drawn.